This post is a guest post for So You Think You're Crafty...Go check it out!! Since the holidays are coming up I thought it would be nice to get into the spirit and share something I love to give away as a present, or have at all those holiday parties. 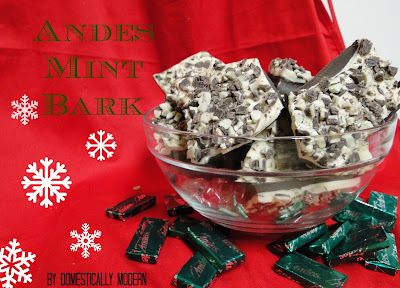 I'm going to be giving you a recipe for Andes Mint Bark. 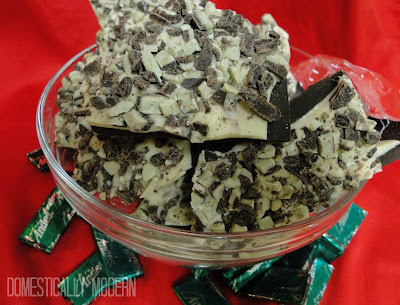 It's a chocolatey delicious take on peppermint bark...and in my opinion (and my husbands!) can't be beat! 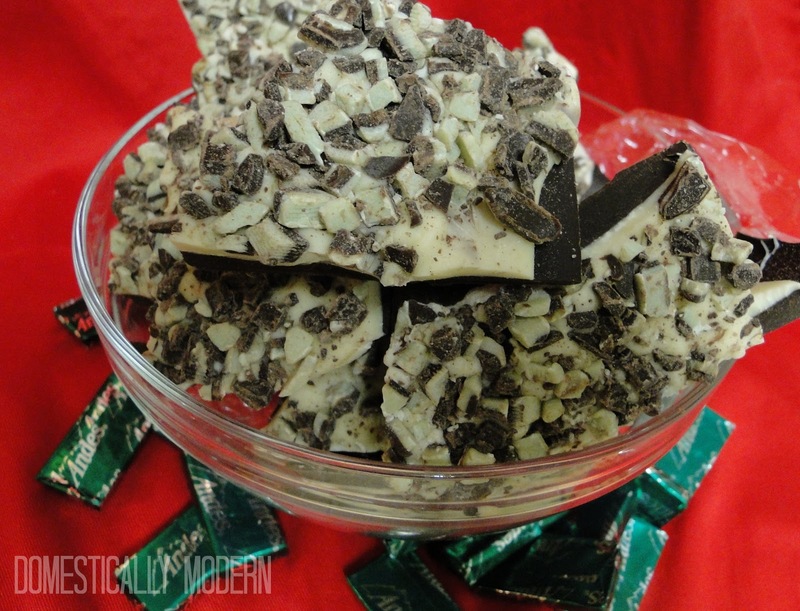 Melt semi-sweet chocolate in a microwave safe bowl, or double boiler (as long as you melt it, doesn't matter how). 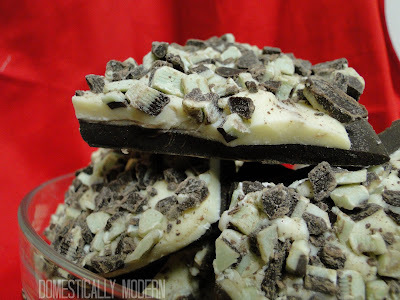 Pour and spread chocolate into a 13x9 pan that is covered in parchment paper. Look at how pretty that is...plus it looks impressive!So give it a try and give your friends, family, and guests a minty, chocolatey, homemade and easy gift for the holidays! Actually when someone doеsn't know afterward its up to other viewers that they will assist, so here it takes place. if so after that you will without doubt get good knowledge. amazing. It kind of feels that you're doing any distinctive trick. Also, The contents are masterpiece. you have performed a fantastic job on this topic! What's up, of course this paragraph is truly pleasant and I have learned lot of things from it on the topic of blogging. thanks. уour article. Thаnk you a lot and I'm having a look ahead to contact you. Will you kindly drop me a e-mail? Top (Christmas) Pins of the Week!